RockBridge is a thriving, multi-campus church with 5 campuses across northwest Georgia and the Tennessee Valley. 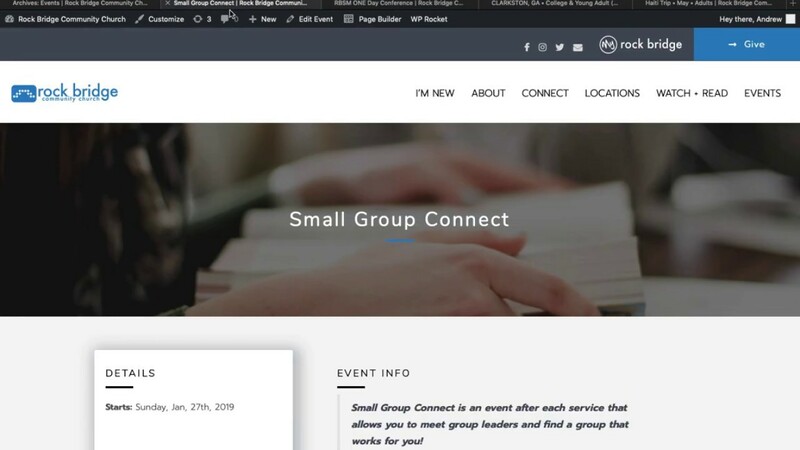 This amazing church approached us about a complete redesign of their website. It had become dated and inefficient at helping members and potential visitors discover what they needed to. 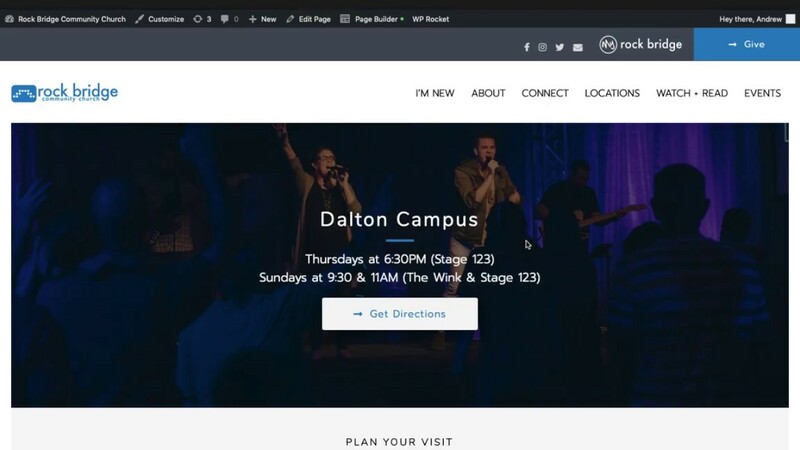 Our vision for this project was to take the complexity of a multi-campus church and create a modern, clean website that provided clear next steps based on desired actions and current metrics. Our favorite part? The conditional logic layouts for events, blogs, and stories. The various events layouts are probably my favorite part of the site. As you can imagine, a multi-site, missions focused church has many different kinds of trips. We created dynamic layouts for all church, campus specific, camps/retreats, missions trips, next steps. In addition to those layouts, there is conditional logic content that displays based on the type of the event created. 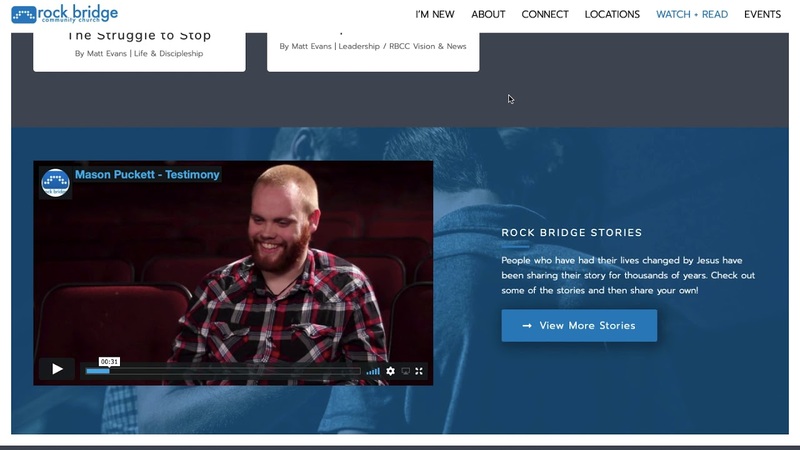 Rockbridge has multiple forms of media to communicate on the site: sermons, written content, and video stories. We created a library that is well designed, easy to navigate, intuitive to add to and makes it simple for users to sign up to receive notifications when new content is published. A big goal of this site was to make a multi-site approach feel like a unified church. We did our best to present a unified feel throughout the site, especially where campuses are concerned. Still, people need to find a campus near them! We created campus pages that just need a few blanks filled in. Then the campus page fills up with that campus' staff, events, times, and locations!